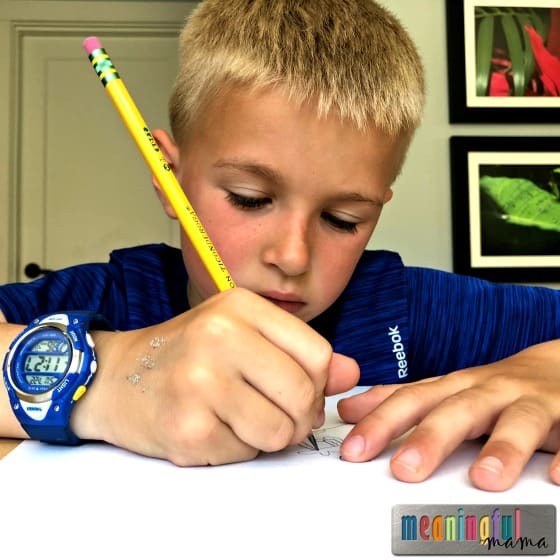 This is a sponsored post written by me on behalf of Ticonderoga for IZEA. All opinions are 100% mine. Some parents and teachers wonder how to easily engage children during story time through art. Creativity can be expressed in more involved reflections through painting, story boards, comic strips and large projects. However, I have found that a simple approach of connecting literature to art can be just as powerful. Leave the paints, glitter, glue, foam pieces, oil pastels and scraps of paper in the craft closet. Who is relieved to hear this? All you need is Ticonderoga pencils and some paper. Easy enough, right? It doesn’t take a bunch of fancy and expensive supplies for kids to express their own creativity and imagination. There is beauty in the simplicity and functionality of pencil drawings. Why Ticonderoga? There is a reason why every single back to school supply list I’ve ever seen says “Ticonderoga Pencils.” This company has proven quality over the past 100 years of the company’s existence. Ticonderoga has been a dependable brand for us. I think we have all experienced pencils that break easily or sharpen weird. Not Ticonderoga. When shopping for school supplies, it’s nice to have a no-brainer item and brand on your list. Kids can shop for their own style as they pick out the pencil pouches, water bottles and back packs. When it comes to writing utensils, I’m always going to chose brands I trust. School is starting. While the days are filled with my children reading to themselves or to me, I still like to find opportunities to read novels to them. We have been reading “The Magician’s Nephew,” by C.S. Lewis. During story time this week, I handed them a pencil and paper – that was it. 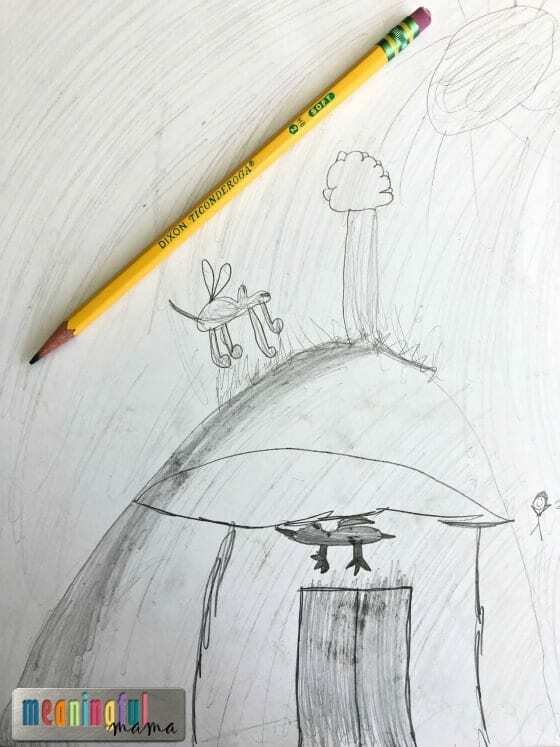 I asked them to take the time while I was reading to draw the pictures in their minds based on the story being told. Lewis does such an amazing job creating descriptive and colorful words to bring his stories to life. It was wonderful to watch his narrative give birth to a original pieces of art designed by my kids. One of my child’s creations actually blew me away. As I was reading, I would still engage the kids by asking questions to make sure the artwork wasn’t so distracting that it was taking away from the experience. I found that the kids could easily listen to the story and connect to the right side of their brain for creative expression. This left brain and right brain connection is actually very good for their development. Not only is it beneficial for them, but they love being able to remain occupied during story time. If you are familiar with the story “The Magician’s Nephew,” we were at the part where Digory and Polly were flying on the horse, formerly known as Strawberry, to fetch an apple for Aslan. 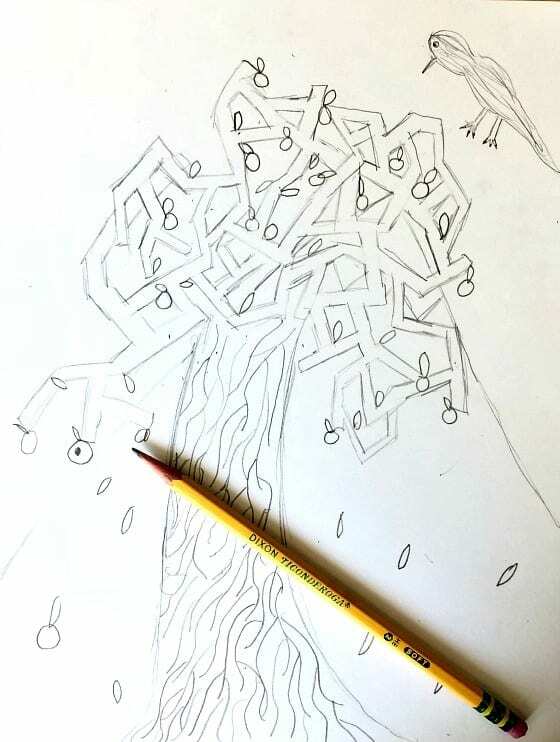 The tree sat in a gated garden near a lake, and it had a bird perched on top. Digory was at a turning point. Should he follow the witch’s advice and steal and apple to save his mother or obey the request of Aslan? These simple pencil drawings became anything but simple. 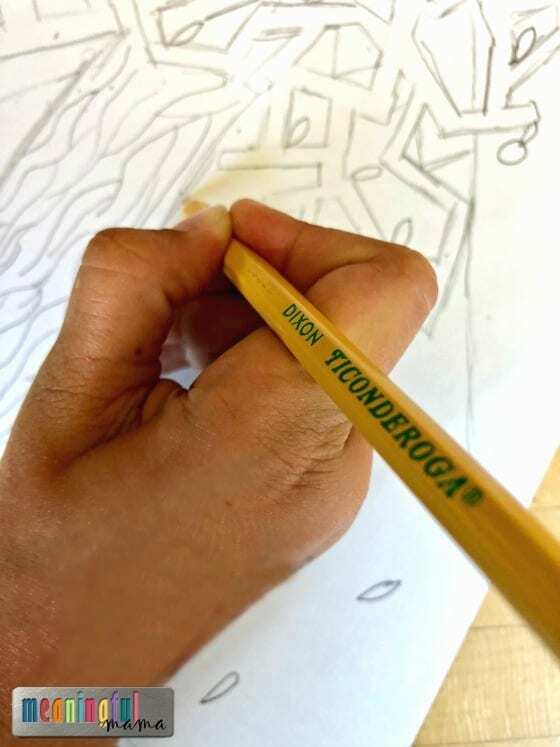 They became intricate works of art, inspired by a beautiful story and a dependable writing tool, the Ticonderoga yellow pencil. 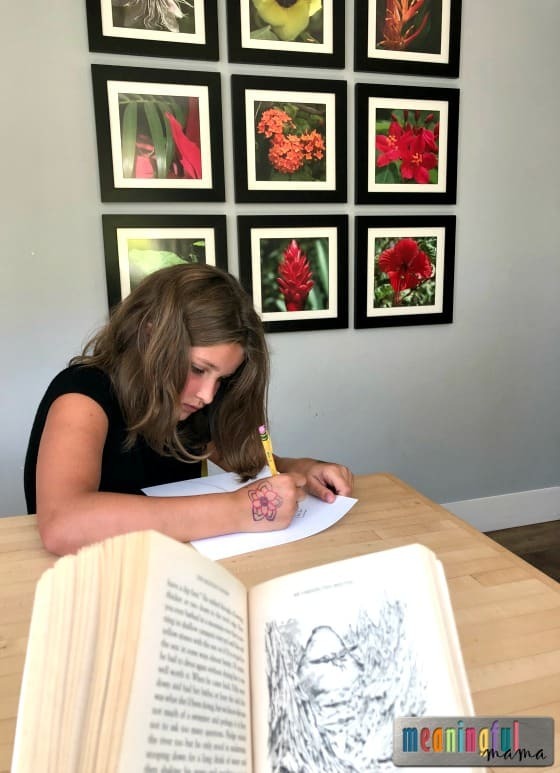 Next time you sit down to read with your children, you might be surprised by their own explosion of creativity as the story comes to life through art.